a girl wrote two stories . . . that were never published . . . both were lost . . . but she never gave up her dream to create a story . . . to become an author . . . with a purpose. was raised in a Jamaican-Canadian home where her delight in being a "story-teller," in a family of eight children, followed her into adulthood. While working professionally as an RN, Jennies completed a writing course, then soon became busy as a full-time homeschooling mom with a passion for God, family, and home. Jennies shares passionately in her dynamic, visionary books that promote racial harmony & the powerful work of the Holy Spirit, with mystery, suspense & romance. Since 2010, Jennies has been an inspirational speaker to general audiences and women's groups & speaks to the power of the Holy Spirit glorifying Jesus Christ through us! Paramount is the the Message that God is God of the Impossible! She currently home schools her last child, is actively involved in her church, serves as a board member for New Life Girl's Home, and... writes! Jennies' husband, a sales rep of TML Supply Ltd., is a gifted worship leader and yearly speaker at Presqu'ile Provincial Park summer "church in the heart of the park" services, as well as for area pastors on holidays. 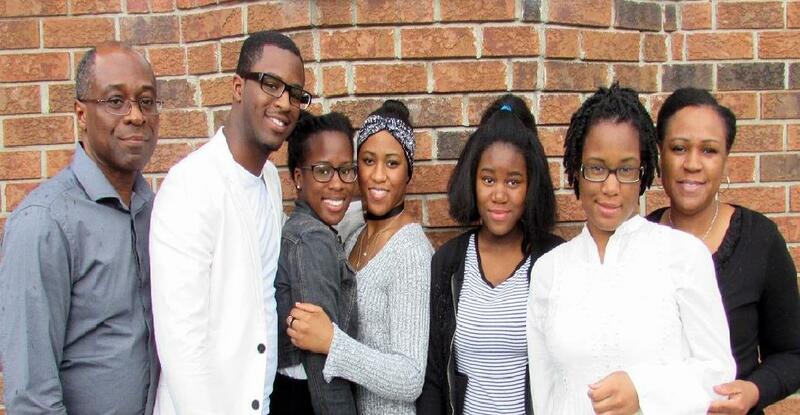 Jennies and Milton have five children and one daughter-in-law, who also love to use their musical talents to magnify the Lord, including the Edwards' son - JOSHUA PAUL (JP) - an upcoming Christian Hip Hop Artist.